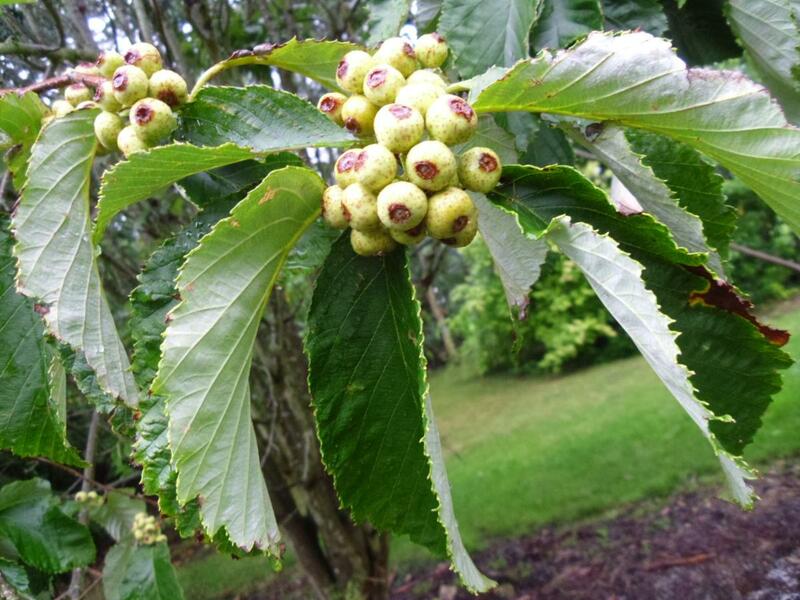 Sorbus hemsleyi is an interesting and rare whitebeam tree which was discovered in 1980 by the Sino American Botanical Expedition (SABE) to China and cultivated first at the Arnold Arboretum of the Harvard University in the US.It was introduced to the UK in 1992 and at this time this nursery was the first in the UK to raise seedlings of this species. 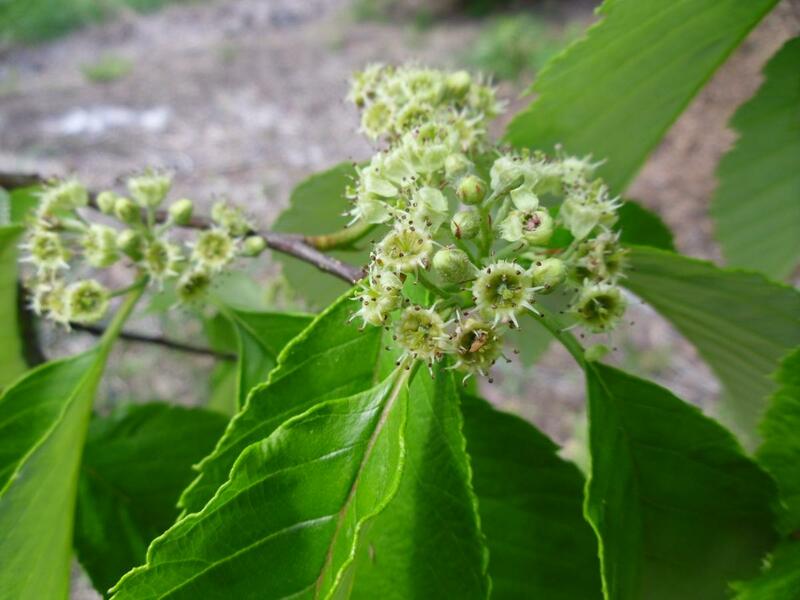 The seed was brought back by Roy Lancaster after a trip to the Arnold Arboretum which he was visiting in the autumn of 1991 and given us to grow. 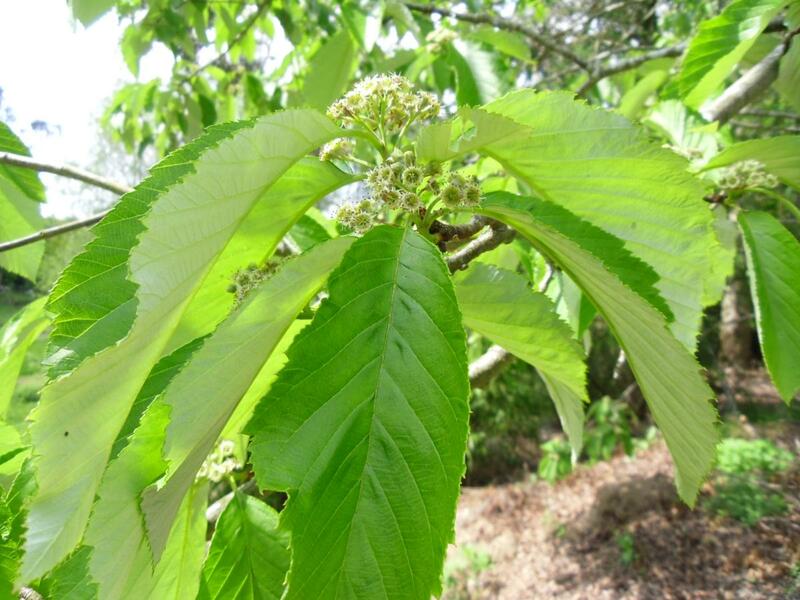 40 seedlings were raised and many were distributed to tree collections elsewhere in the UK. One of the seedlings was selected by Chris Sanders, then at the Bridgemere Nurseries, and it was subsequently named ‘John Bond’ at RHS Wisley, where the first tree was planted commemorating a great Plantsman, and the late Regius Keeper of the Savill and Valley Gardens at the Windsor Great Park. A sister seedling from this accession of Sorbus hemsleyi still grows happily on our nurseries and has larger leaves that the ‘John Bond; clone. These are seedlings from our tree, which has made in 20 years a round headed tree of some 10m. The large leaves, intensely silver beneath hang pendulous from the branches their undersides shown off to great effect due to the fact that they fold along the midrib looking much like the hulls of boats. The flowers are not especially showy but are produced in abundance in cymes, yellowish green and are much adored by bees. The large marble sized speckled fruit in large bunches start green and ripen through to a golden brown. The fallen fruit here are always gobbled by Badgers. Leaves turn a bright golden yellow before falling in the autumn. 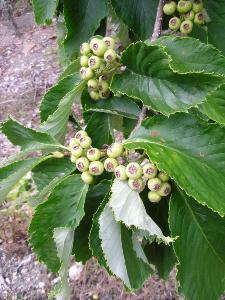 Sorbus hemsleyi is a medium sized tree, charming, hard to find and quite unusual.